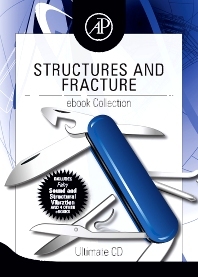 Structures and Fracture ebook Collection contains 5 of our best-selling titles, providing the ultimate reference for every structural engineer’s library. Get access to over 3000 pages of reference material, at a fraction of the price of the hard-copy books. Dr. Giurgiutiu is an expert in the field of Structural Health Monitoring (SHM). He leads the Laboratory for Active Materials and Smart Structures at the University of South Carolina. He is a regular contributor of papers to leading conferences in the area, received the award Structural Health Monitoring Person of the Year 2003 and is Associate Editor of the international journal, Structural Health Monitoring. Frank Fahy has been teaching and researching at the Institute of Sound and Vibration Research, Southampton, England, for nearly forty years. He is Emeritus Professor of Engineering Acoustics, signifying both his training and professionalmotivation. He is a Rayleigh Medal holder and Honorary Fellow of the Institute of Acoustics.